A wide range wrapping applications, such as: Chocolate, Bakery products, Biscuits, Tissue and Wet wipes, Healthcare products, hard ware and Frozen foods---etc. 1. Compact design and easy operation with 3 servo motors drive with electric cam controlling sealing draws. 2. 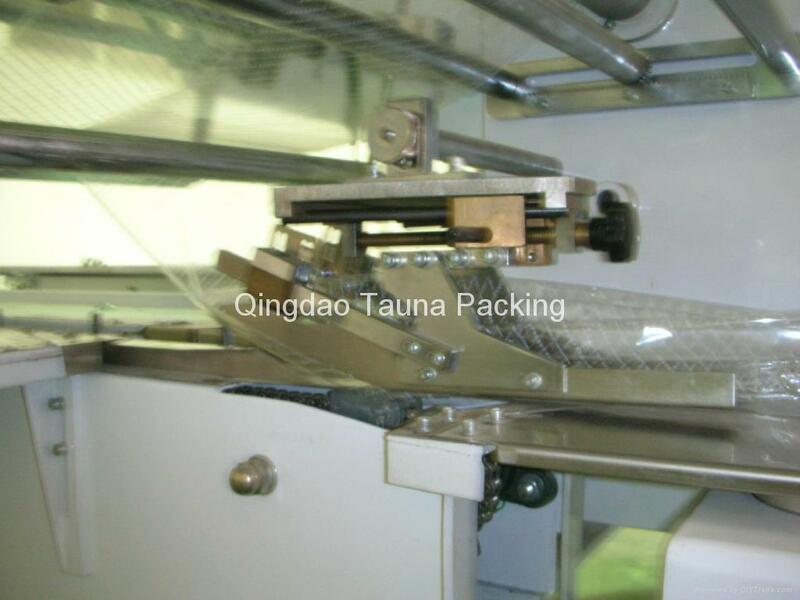 Automatic on-site stop, auto adjust packaging parameters, no product no bag, remembering several dozen packaging parameters, easy control packaging. 3. 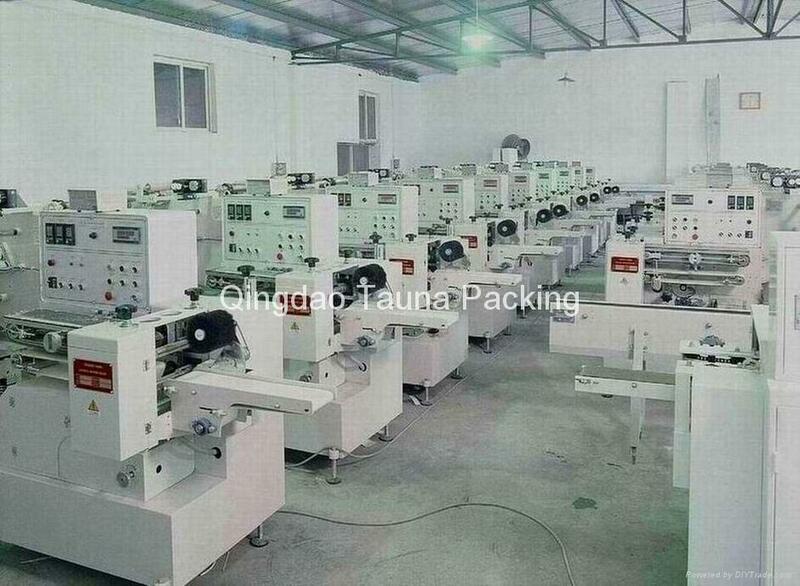 3 pairs of sealing center sealing wheels, a pair of guide wheels and 2 pairs of senter sealing wheels, producing best quality sealing. 4. Digitally indicating the size of the film, speed of wrapping, turnout and temperature. 5 PLC based control system reliable and stable, low maintenance. .
6. Photoelectric cell and forward and backward tracking without mechanical contact.